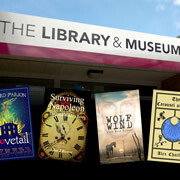 The very first Wincanton Book Festival will take place tomorrow, Saturday 9th March 2019, in Wincanton Library, as well as various High Street shops and venues. Local authors will be available to talk about their books, and their writing experiences. 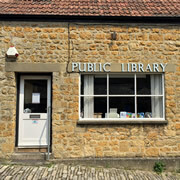 Castle Cary Library was due to close on 31st March 2019 as a result of County Council cost savings, but a group of volunteers is setting up a Community Library to keep it going. 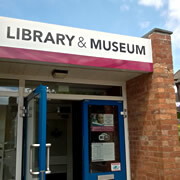 It's no surprise that use of Somerset's libraries has been dwindling over recent years, but you may be pleasantly surprised to hear that Wincanton's Library has been proving its worth of late, with a visitor boost during the first half of this year, perhaps due to all the activities for kids that have been going on. On Saturday 22nd April 2017 at Wincanton Library, Dr. Maureen Ellis will lead an interactive session to explore the individual’s role in the transformative power of language and communication to construct a global community. The RVS Home Library Service is available here! Can't get to the library? Let the library come to you! 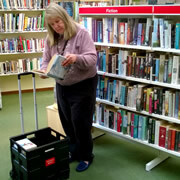 The Home Library Service is entirely free of charge and available to anyone of any age who cannot easily get to the library, and we have our own HLS volunteer based at Wincanton Library. Read on to find out how it works. Anyone who took part in the Big Friendly Read, or attended the craft and story day in August already knows what fun libraries can be. Wincanton Library Friends intend to host creative events for children during all half term breaks and other school holidays. Volunteers Wanted: Young People with a Passion for Reading! Somerset County Council is calling on young people to sign up as volunteers for this year’s Summer Reading Challenge, helping to encourage children to read during the summer holidays. 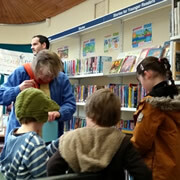 Congratulations to Wincanton Library - Serving the Community for 40 Years! Having had a Royal beginning when opened on 27th June 1973 by Her Royal Highness The Princess Margaret, Wincanton Library is most definitely one of the town's treasures, adding much value to our residents over the last 40 years. 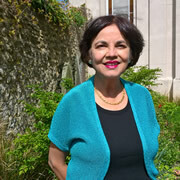 Wincanton Library invited the accomplished novelist Lyndon Stacey, to give a reading of her work and a public talk on Thursday 27th June. Looking for something to do during the Summer holidays? There's StoryLab for younger ones and the Reading Passport, too. Write a book review to be entered into a Prize Draw and win a suitcase full of books! In Wincanton for the launching of his latest book in the Discworld series, Sir Terry visited our library. 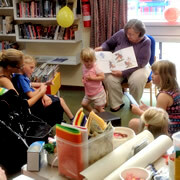 On the first Saturday of every month we have story time, why not come along? What you need to know about Wincanton Library.